No Iranian meal is complete without a yogurt-based side dish of some sort. 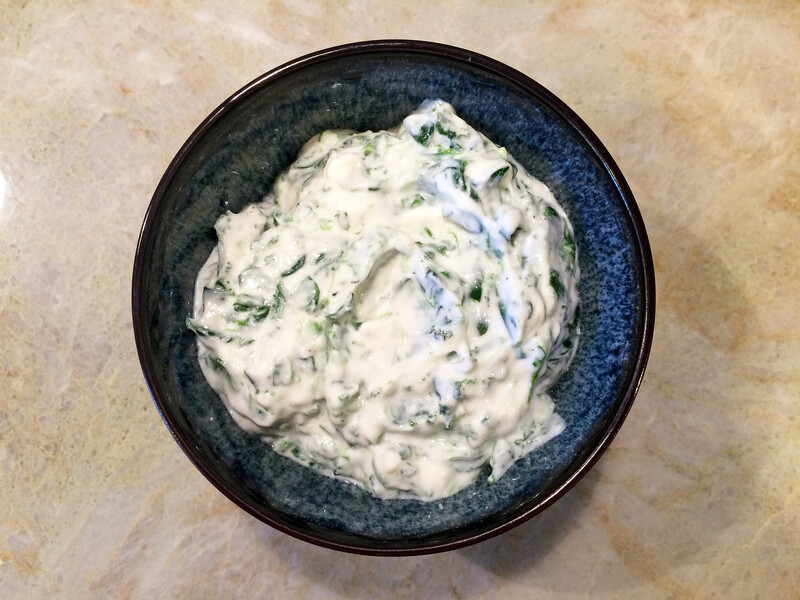 The cucumber and mint-flecked mast-o khiar is most common (and a close cousin to Indian raita and Greek tzatziki). Spinach borani flies under the radar, despite it being just as delicious. More substantial than its cucumber counterpart, spinach borani is a simple but perfect side dish alongside an Iranian khoresh but it’s just at home next to curry (and if you’re like me, straight out of the bowl as a standalone snack). Borani keeps for a few days in the fridge, so it’s perfect with leftovers. 1. Blanch the spinach: bring a pot of water to a boil; add spinach, and blanch for about 1 minute. Remove from heat and drain spinach in a colander, rinsing under cold water. Squeeze spinach to remove excess liquid and coarsely chop. 2. In a serving bowl, thoroughly mix yogurt, spinach, garlic, adding salt and pepper to taste. 3. Chill the bowl in the refrigerator for at least half an hour before serving, allowing the flavors to set. Serve cold or at room temperature.